Description: The Epic Saga of the Man Who Became a Legend! 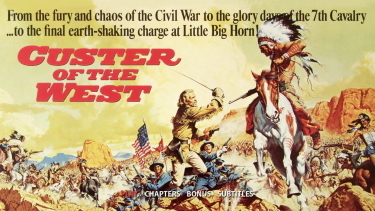 From decorated war hero to doomed commander, General George Armstrong Custer is brilliantly portrayed by Robert Shaw (Figures in a Landscape) in this stunning, giant spectacle of a film. 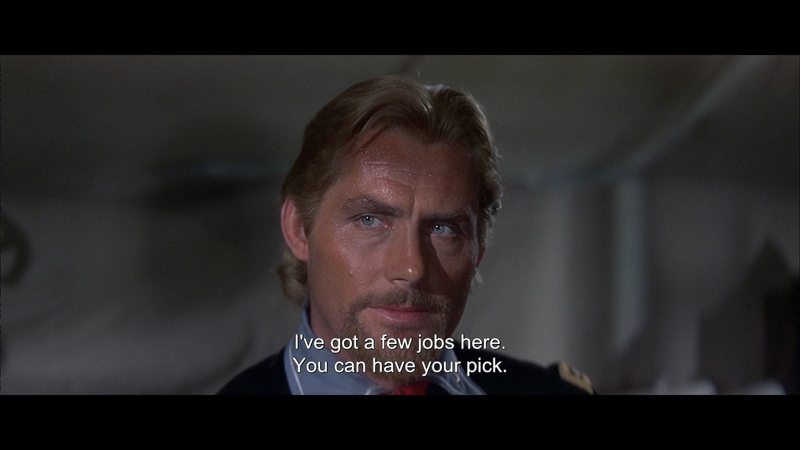 With an all-star cast that includes Robert Ryan (On Dangerous Ground), Jeffrey Hunter (King of Kings), Ty Hardin (Bronco), Kieron Moore (David and Bathsheba), Mary Ure (Where Eagles Dare) and Lawrence Tierney (Born to Kill), this epic adventure wonderfully directed by noir great Robert Siodmak (The Dark Mirror) and beautifully shot by Cecilio Paniagua (The Hunting Party) vividly chronicles the rise and fall of this larger-than-life legend! 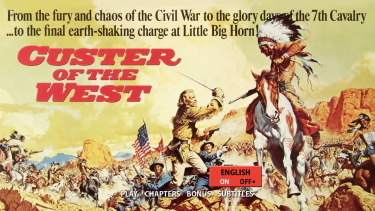 After his triumphs in the Civil War, General Custer becomes one of the most renowned military figures of his time. 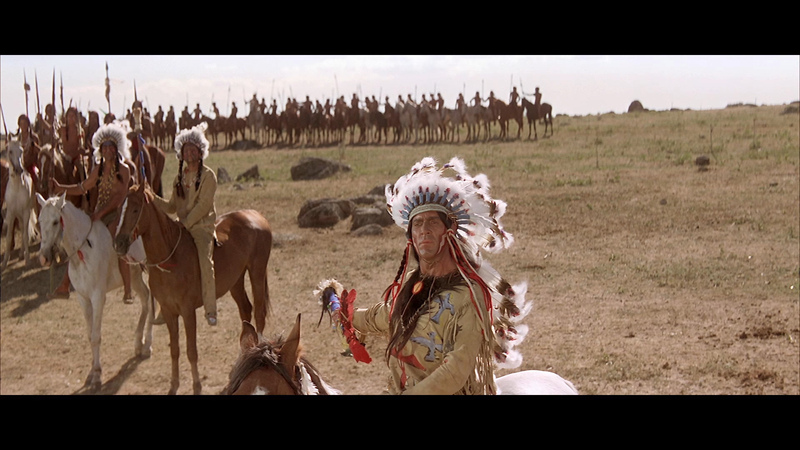 But he infuriates as many people as he impresses... never more so than in the days leading up to the Battle of Little Bighorn, where his sense of pride overshadows his dedication to duty... with disastrous consequences. 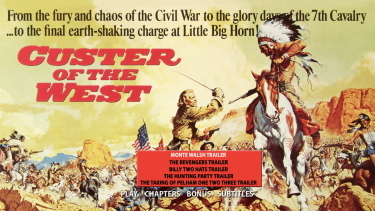 Opening with a montage depicting its subject's Civil War exploits, Custer of the West carries us across four years of fighting in less than four minutes of screen time. 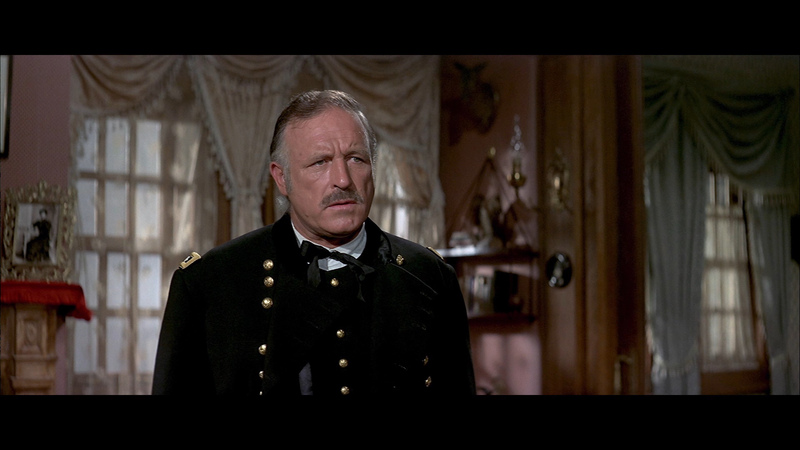 The Civil War ended, George Armstrong Custer (Robert Shaw) longs for action and to hold onto his rank of general, so General Phil Sheridan (Lawrence Tierney) sends him West, admitting that there will be no nobility to his cause there -- the government and the people want the land, and that means getting the Indians off of it by any means necessary. 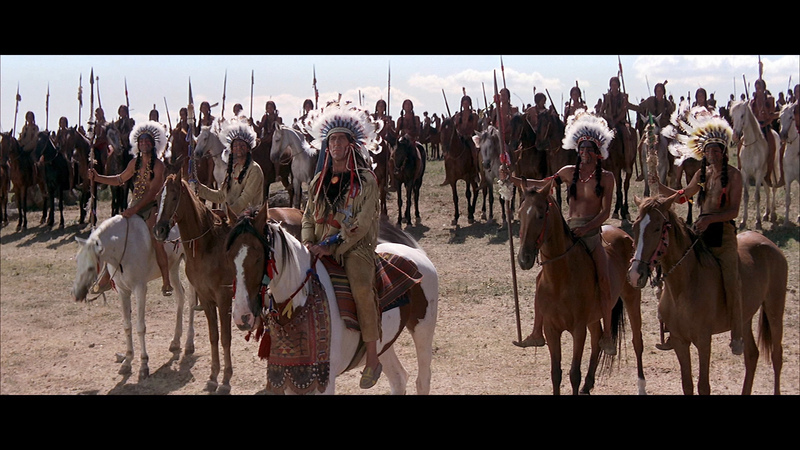 He arrives in time to see a party of Cheyenne (whom the real Custer never fought) kill a pair of miners by sending them rolling down a long hill in a runaway wagon -- that motif is repeated, in ever more striking, elaborate, and violent fashions, in two subsequent action scenes. 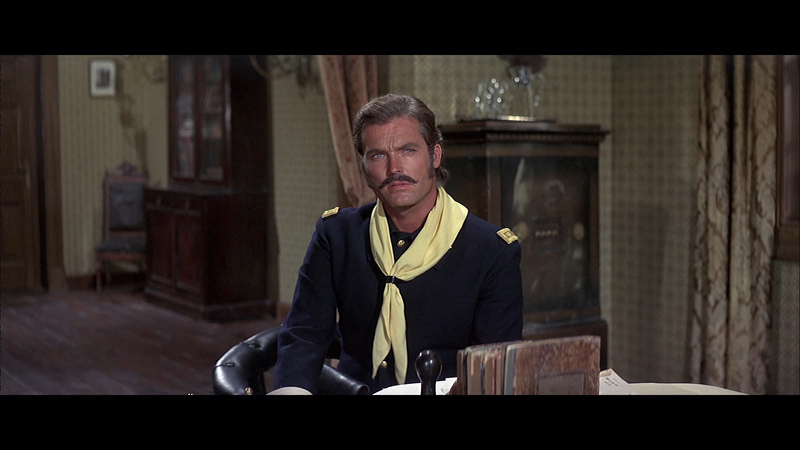 Custer organizes his command around Major Marcus Reno (Ty Hardin), depicted as an ambitious officer with a drinking problem, and Captain Benteen (Jeffrey Hunter), a humane officer with a strange, almost mystical streak, who understands the Indians better than anyone else in Custer's command. 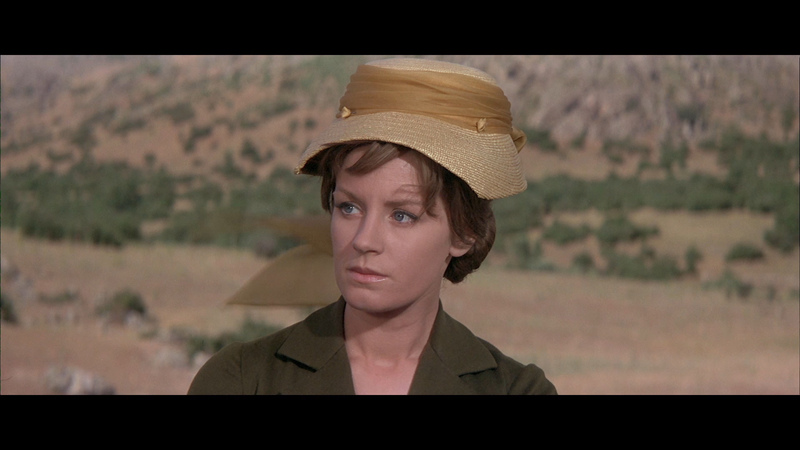 Also present are Mary Ure as Custer's loving wife and Robert Ryan in a very flamboyant performance as a larcenous sergeant who comes to no good end after being stricken with gold fever. After the original director, Akira Kurosawa, bowed out of the project, Yordan handed the director's reins to Robert Siodmak. 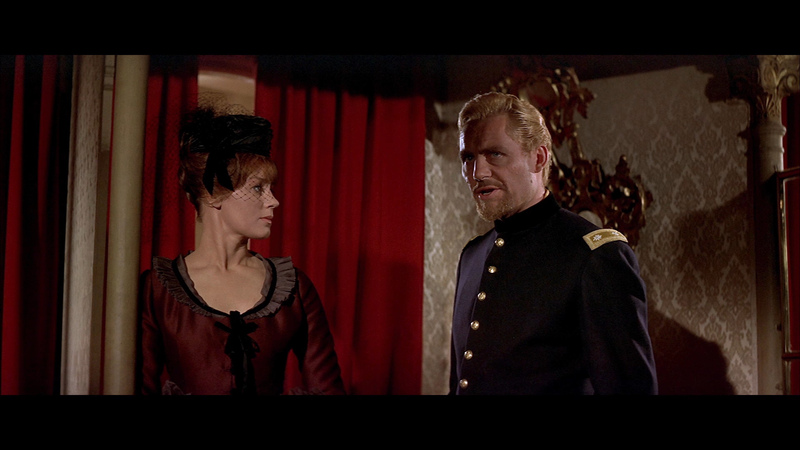 The German-born helmer who had been responsible for a raft of film noir staples from The Killers (1946) to Phantom Lady (1944) to Criss Cross (1949) had by the '60s been relegated to turning out unremarkable fare in Europe. 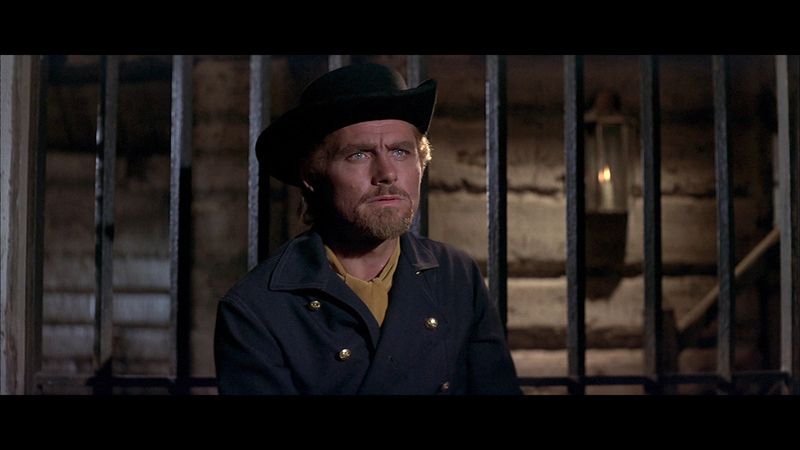 His health was in decline, and his work on Custer of the West is perfunctory at best. 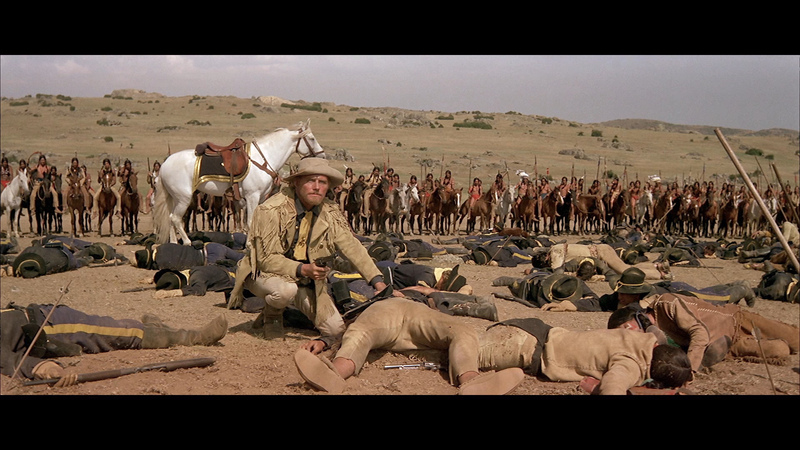 As a completed whole, Custer of the West suffers from a reduction of its original scope and concept. 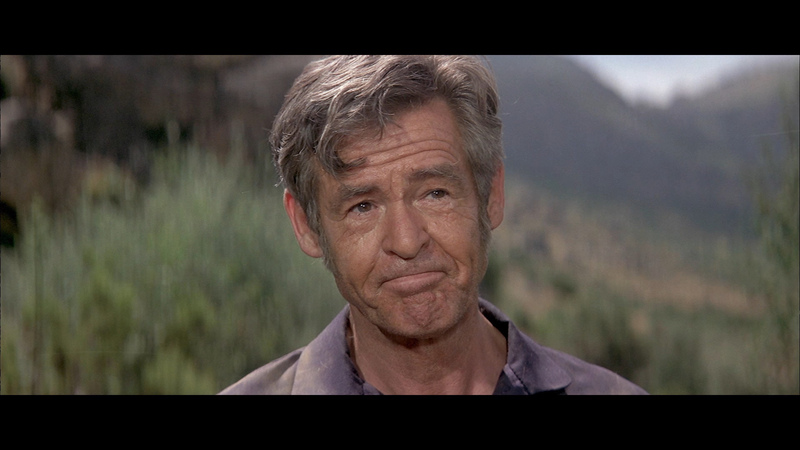 Shot with the intent of making the film one of the final releases in Cinerama, the film was almost exclusively exhibited in conventional widescreen. 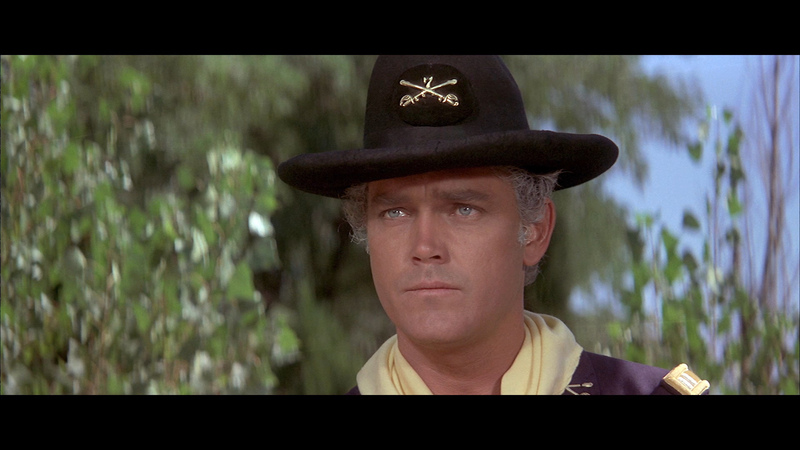 There were no less than three prolonged, point-of-view set pieces in the script--a driverless stagecoach's mountainside descent, a runaway railroad car's trek towards a doomed trestle, and a soldier's attempt to escape a Cheyenne ambush via a log flume--that had their potential thrill-ride impact diminished as a result. 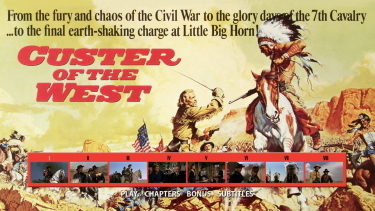 The single-layered Kino Lorber Blu-ray of Custer of the West looks exceptional. 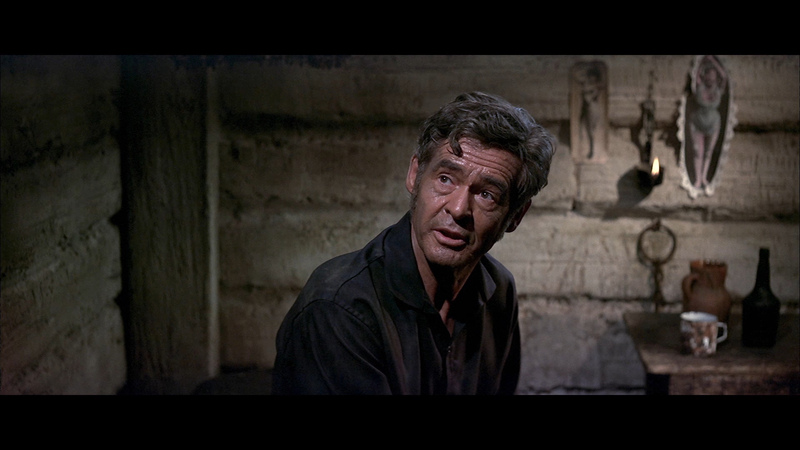 This was one of two epics shot by Security Pictures (a division of Louis Dolivet and Philip Yordan) in the Cinerama process. It was in Super Technirama 70 and this 1080P image looks stunning. 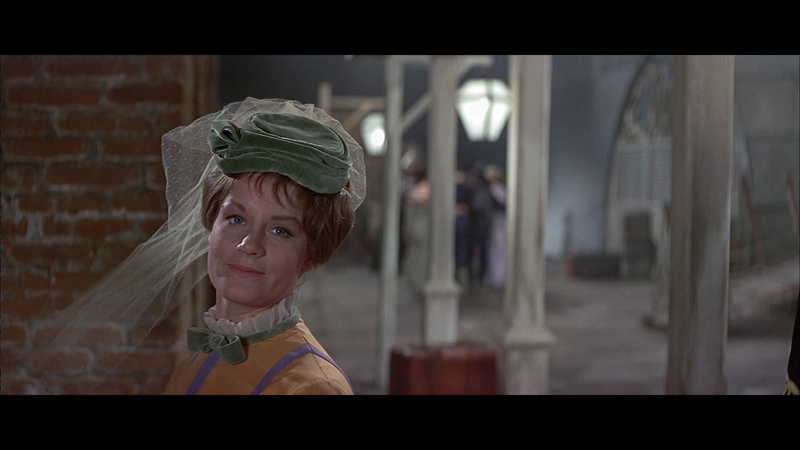 This Blu-ray image is tight, super-clean, very crisp and show impressive colors and detail. 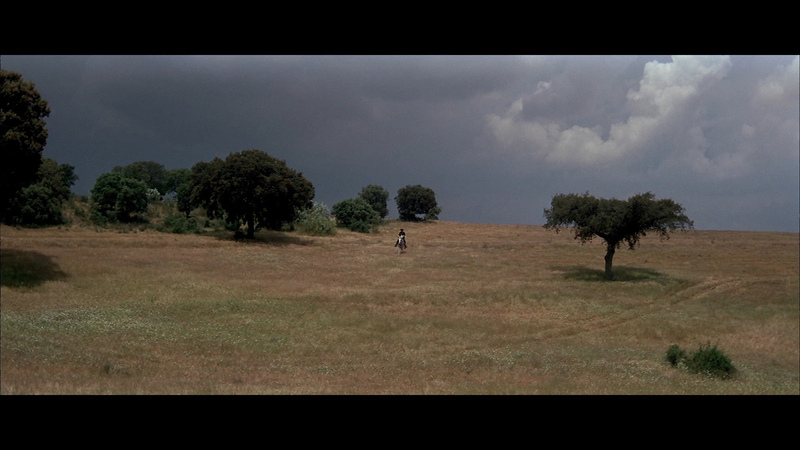 There is plenty of depth and the exterior shots in Spain are gorgeous. What an impressive video image. Kino Lorber use a DTS-HD Master 2.0 channel track at 1559 kbps (16-bit) in the original English language. 70 mm prints used a 6-Track and it seems an opportunity was lost in not transferring in surround. I did suspect some dialogue-sync issues but I didn't find them intrusive onto the presentation. 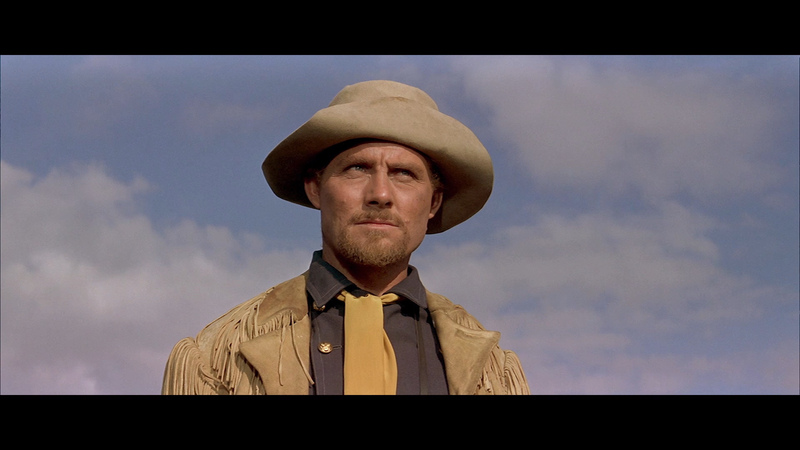 There are plenty of western-related effects in the film - as well as bold audio in the extended cinerama-induced sequences - with the effect of rapid motion. They carry some impressive, and loud, depth. 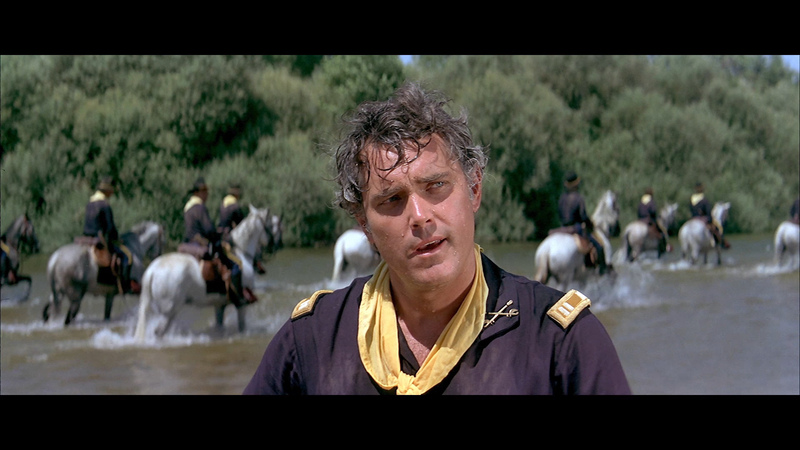 The score is by Bernardo Segall (credited with the music in 10 episodes of Columbo and other films) and it supports the epic feel of the film with grand movements and orchestral support. There are optional English subtitles offered and my Oppo has identified it as being a region 'A'-locked. 5 Trailers of other films. 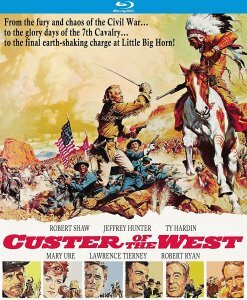 Custer of the West was a Cinerama hopeful where excessive poetic license was given with regards to the historical content. 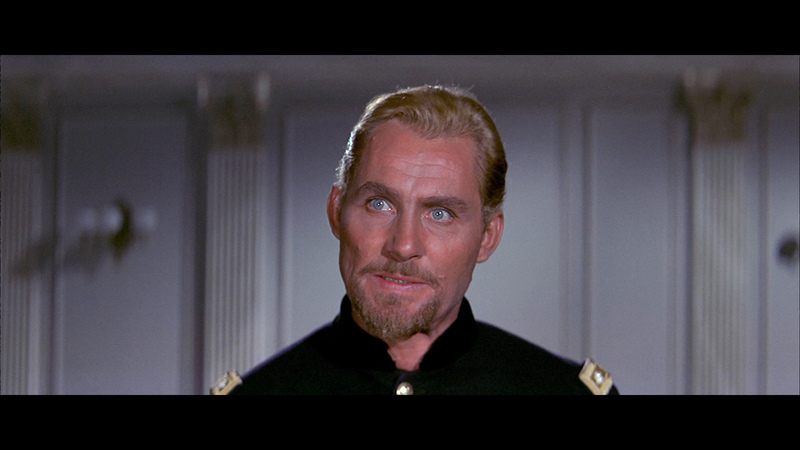 It has similarities to Errol Flynn's They Died with Their Boots On from 1941. Unfortunately, it is a flawed film but has some positives with Shaw and the scope beauty of the image. 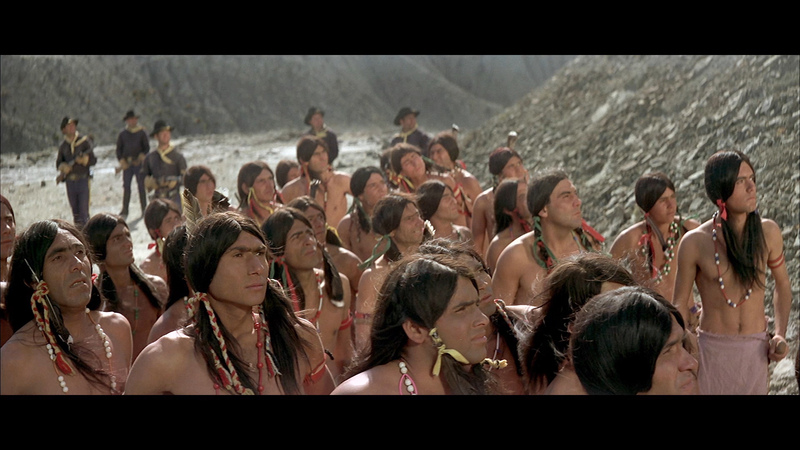 This package would have benefitted from a commentary but it's a long film. 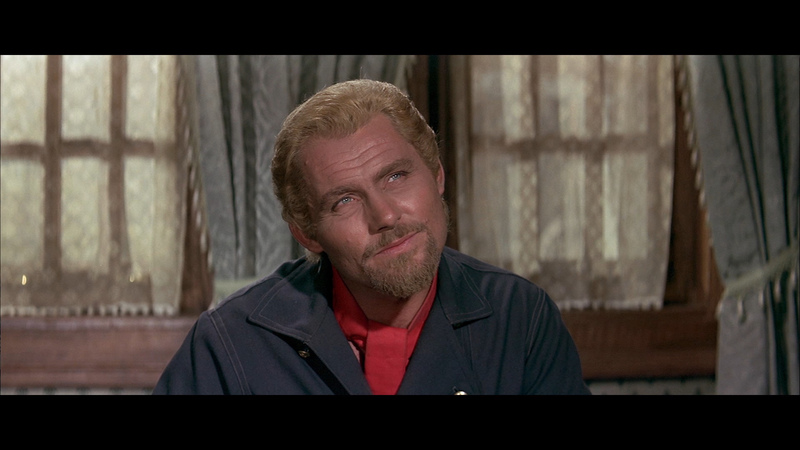 The bare-bones Kino Lorber Blu-ray offers a desirable presentation, but not much more. NOTE: At the writing of this review it is 45% OFF at Amazon.